Vintage 1950s I.W. 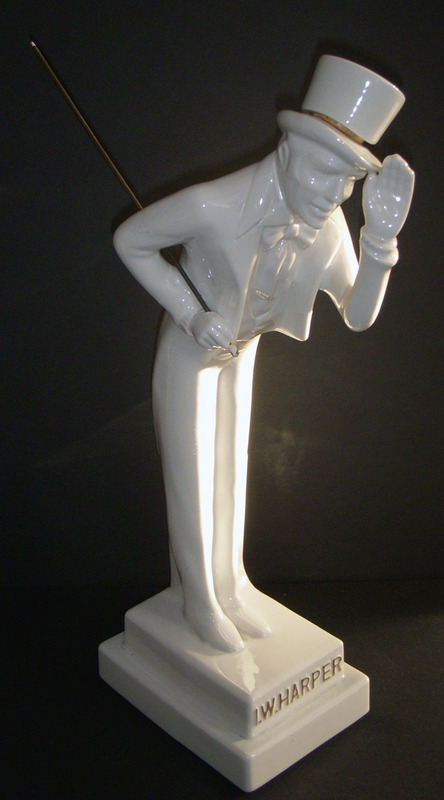 Harper Bourbon Figural Decanter by Hall China Co.
ARTIFACT: This is a vintage 1950s I.W. 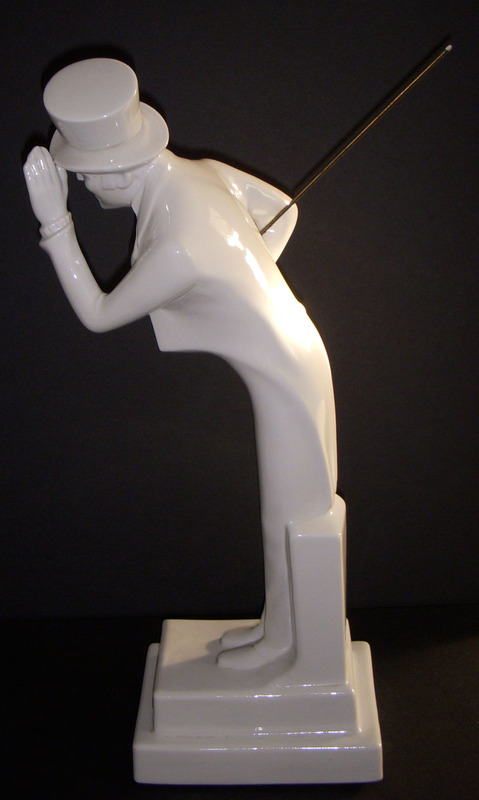 Harper bourbon figural decanter in white porcelain by Hall China Company. The I.W. 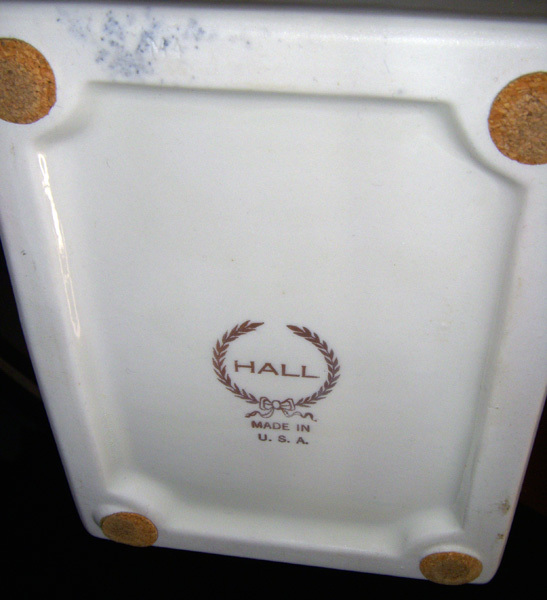 Harper brand was started in New Haven, Kentucky by a German �migr� named Isaac Wolfe Bernheim in the late 1890s. The figure is a gentleman in a top hat and �tails, bowing forward slightly and carrying a cane. Beneath the gent's hat is an intact cork. SIZE: Approximately 16-1/2� in height; base is 4-1/8� by 5-3/4�. ATTACHMENT: Cane is a �pressure fit� in hand (can be removed). 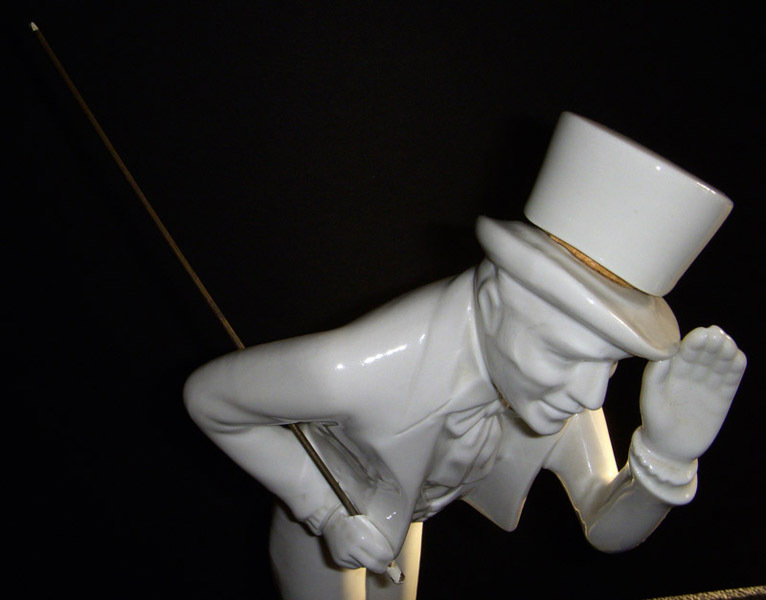 CONDITION: 8- (Very Fine-Excellent): The figure has only light wear; cork beneath top hat is intact but is stuck in place.